Welcome to our Daily Words of Encouragement page. These articles are created with you in mind! His Love Heals is an organization dedicated to bringing healing and hope through the Word of God. Our words of encouragement are written to inspire, encourage, and empower you to create the fulfilling and successful life you deserve. We know that the Word of God heals and we've see repeatedly how lives have changed from the Word of God. We get letters from women almost daily how God has healed them just by reading our articles below. So we know your healing is just an article away! Come back often and bookmark this page -- we are always adding new articles! If God has healed you or you've been encouraged we would love to hear about your experience. Would you please share it with us on our share a testimony page. We love celebrating what God is doing in your life. Did you know that every promise in the Bible belongs to you? God doesn’t want you living in torment and sadness; He doesn’t want you to live a mediocre life. He has an abundant of good things in store for you. We can’t keep speaking words of defeat and expect victory. We have to change the words that are deeply embedded into our minds and heart with God’s word – and when you do, you will see victory in every part of your life. Did you know declaring prosperity affirmations can actually change the course of your life? Did you know God wants you to prosper? He wants to give you success in every part of your life: financially, emotionally, physically, spiritually, and mentally. One of the most precious gifts God has given us is His promise. Scripture is filled with promises that we can believe and trust in. Did you know there is over 30,000 Scriptures that we can start declaring over our life? Enter here to begin living in prosperity. Be Healed and Whole with Health Affirmations. Regardless of how serious your health and emotional conditions are, you can find the answers in God's Word. His word is true and He has proven it to be true over and over again. In fact, the Word of God is not signed in ink, but by the blood of Jesus. Therefore we can take God’s Word as the Final Authority. Discover the power, strength, hope and joy in God’s Word with Bible Verses for Encouragement. Now and then we all feel down, depressed, and discouraged, but with these 102 encouraging Bible verses –- it’s a guarantee to lift you up in no time! We don’t know exactly how many years, months or days left on this earth. But what we do know through this verse is that are days are numbered and we should spend our days wisely. Every day is a gift from God and we should look at it as our most valuable possession. I always chuckle when I read Deuteronomy 30:19b “I have set before you life and death, the blessing and the curse. So choose life...” God doesn’t say, “I am so glad you chose life.” No on the contrary He says, “So choose life.” In other words, we actually need to be told what to choose. Are you in need of more? More strength? More hope? More help? More resources? More energy? More of everything? When life hits hard and your energy, strength, and hope needs recharging and revitalizing the answer is found in 1 Philippians 1:19. This is a woman who fights for her life – never giving up, even financially devastated and incurable she keeps fighting. 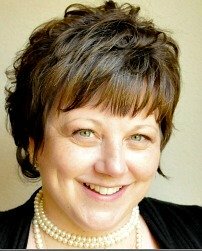 She has a faith that is aggressively fighting to be healed. What a strong woman! In Mark 5:25-34, the woman with the issue of blood had twelve excruciating years of physicians treating her, taking all her money, yet not helping her and continually got worse...but God! I don’t know about you, but when I am knocked down with serious issues the last thing I feel like doing is cheering up especially when they come in full force one after another. Usually I just want to cry, throw a tantrum to God, have a pity party and so forth. You are the Excellent You! Come discover the excellent you God has created! Come experience a beautiful poem about looking to God. Did you know God will never let you go -- ever. Read the most beautiful love letter from God to you! Additional daily words of encouragement can be found on our Encouraging Bible Verses page. If our Daily Words of Encouragement page has helped you, would you please tell a friend? It's simple, just pick your favorite social bookmarks below and hit send. 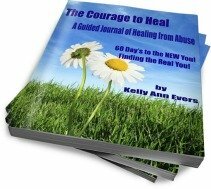 A Guided Journal of Healing from Abuse"
***Teach Your Husband How to Treat You Well! 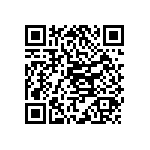 Use QR on any smart phone to be treated the way you deserve! Some of the GREATEST Deals on this site! Brain Games: Improve memory with scientifically designed games. Free Trial. Reclaim Your Brain: Fight Cognitive Decline with Brain Games. Free Trial. Please don't wait until it's too late; Your safety and privacy is protected. Please take the first step in caring for yourself. By the way, I read all these books (but the Networking book), and each have so much valuable information to help you succeed! All FREE, no hidden charges - Really.